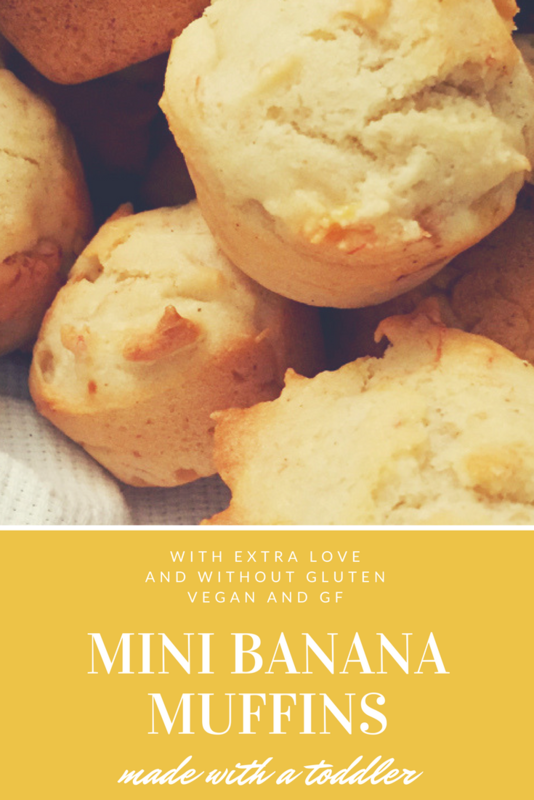 Cooking these Gluten Free Vegan Mini Banana Muffins is a tasty way to pass a rainy afternoon with you toddler. Nothing beats having fun with you kid while creating something delicious to enjoy at the end. My three year old has been begging to help me with everything. Which is great, but not always practical. I try to work in ways she can help, but hot stove and little kiddo don’t mix real well. So I have been trying to figure out ways she can help in the kitchen that don’t include the stove portion of cooking. Her favorite thing to do is stir and add any sort of decoration. So things like muffins, cupcakes, breads and sauces are good options. When I saw the mini muffin pan at the store I thought, Score! This is perfect for her. 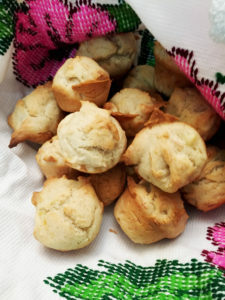 Add a little Pinterest perusing of mini muffin recipe options and I found one I could modify to fit what we had in our house on a regular day. This one is inspired by glutenfreeonashoestring.com an awesome blog by Nicole Hunn. Well worth checking out. She has a ton of gluten free recipes. I don’t have a food processor as is recommended so I gave my kid a fork and spatula and it was pretty well mashed. I didn’t have a few of the things she uses, so I substituted. 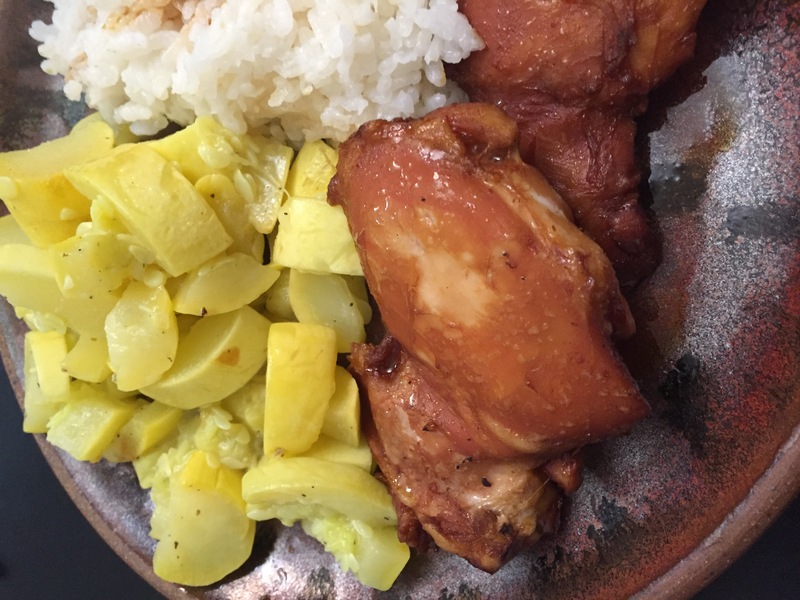 I also did not weigh my ingredients, but they turned out just fine so no worries if you aren’t able to do those things, they tasted great anyways! And I made it vegan by using egg replacer. Everyone still loved them and no one noticed. So don’t be afraid to make a recipe your own. It isn’t as hard as it seems. 2 egg substitutes. I used Energy egg replacer which is 2 tablespoons on warm water to 1.5 teaspoons of replacer. Use whichever replacer you wish just be sure to follow the instructions. Mash up your banana, a great activity for the kiddo. Mix all of your dry ingredients together. I usually measure while the kid mixes. Add wet ingredients (including pre-mixed egg replacer) to smashed banana. Slowly add dry ingredients while kid mixes. 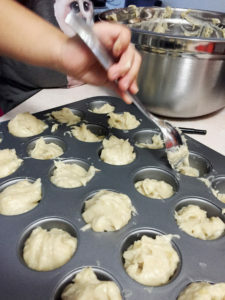 Use oil to grease mini muffin tin, kid did this part too with a piece of paper towel. Then spoon the mixture into the muffin pan. As a small child did this part our muffins came out a bit varied in size. Bake for 10-12 minutes. Let cool and then enjoy! These were great little treats. They are pretty sweet, but not overly so. The kid was super proud that she made muffins and surprised her dad with them when he came home from work. Even better we spent almost an hour making them and it was an activity that she enjoyed and was able to see a result from. She also really liked eating them. So for me, it was a win win. Great time spent with kid, great little snacks resulting. The only downside is whenever I have sweet treats around I eat more sweets! However, as far as a downside goes, that isn’t much of one. “Great, but not always practical.” Your description of being in the kitchen with kids is the perfect way to describe it! My kids love being in the kitchen with me too 🙂 These muffins look delicious and perfect for little hands to grab for snack time! This looks delicious! Thanks for sharing! I need to try it now. Impressive! I have a vegan friend who loves anything with bananas, I’m going to try making this for her! Never made vegan muffins but these look pretty good. May have to try. 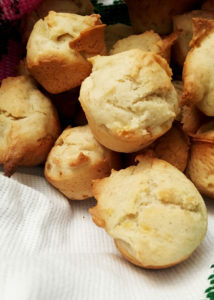 I love banana muffins, bread, fruit, lol. Never had it gluten free though, does it taste the same? It does! The main thing I noticed is you have to put them in an airtight container or they get stale more quickly than regular muffins. Enjoy it! Let me know how it goes! I don’t usually do the whole vegan thing, but this look too amazing to pass up! Thanks for sharing! 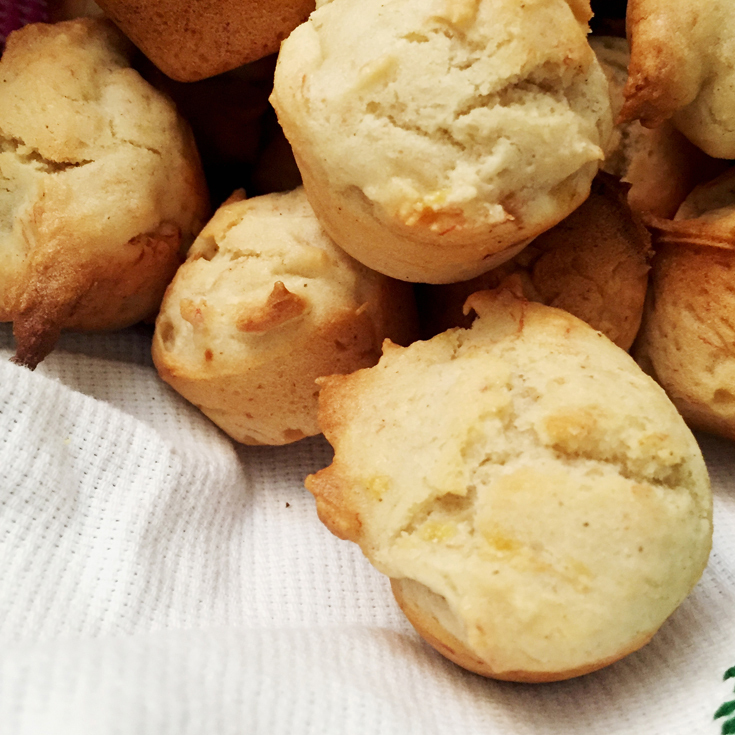 I love banana muffins. I can’t wait for the gluten version. Looks like a good recipe. Yummm, looks great! I’m looking for new vegan recipes! Thank you Sophie! I hope that you and your daughter enjoy them! Those look yummy! I’ve never had anything gluten free that I didn’t think tasted a bit dry and heavy, but I bet the banana in that made it moist. Great! This seems easy to cook with easily available ingredients. Thanks for sharing. Great but not practical. That’s what my mom says when I am in the kitchen and I am 27. Your kid is going places. 3 years and muffins! I saw you tweeting about blogging and I thought I’d check out your website. I really like it. Looks like Amanda has come a long way!